Is learning Spanish going to open a world of opportunities for you? Do you have a heart for the Hispanic culture? 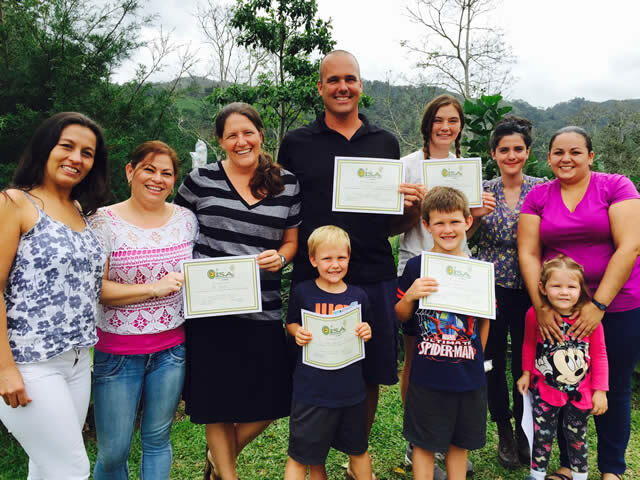 Are you looking for a place to learn Spanish, explore a new culture and grow spiritually? that upholds Christian values within its operation, curriculum and activities. Realize your dream to share a new cultural experience together. Experience an adventure with a purpose. Short term trips combining Spanish lessons, community service work and tours. CISA is located in the small, rural town of Tuis, which is 25 minutes from the urban city, Turrialba. It is a family oriented and friendly area where Spanish learners, from beginner to advanced levels, will feel welcome! CISA is a professional and efficient school. CISA uses an exclusive curriculum that has proven to make language acquisition accessible for students of all ages; teens, young adults, college students, professionals, couples, retired and also families with children. This class is very useful for learning Biblical terminology in Spanish. Students work through bible verses, have discussions and also practice their listening and speaking skills. This student favorite takes place one day a week in the CISA Kitchen. Students are taught how to prepare local Costa Rican dishes. They take a hands on approach – cutting the vegetables, prepping the food and learning new vocabulary, etc., and then get the bonus of sampling the food at the end of the class! Helpful hint: Come with an empty stomach so that you have room to eat the delicious food! This class incorporates low impact group exercises and can include a combination of; playing soccer, volleyball, etc., or running, hiking, weight training, functional movement, Rustic Fitness (a form of Crossfit), either outdoors or at the local gym. The class is a great way to stay in shape, practice your Spanish listening and speaking skills and have fun while doing it! This class involves taking more formal lessons, as an extension of your morning classes. Available for medical students and medical professionals to be able to learn specific Spanish vocabulary within the medical field. The schedule can vary in the afternoons. Please ask for more details. A special curriculum designed for Spanish teachers who want to refresh their own Spanish language skills and at the same time learn new second language teaching techniques. For students who would like to learn Spanish, but do not have the time or resources to study in Costa Rica, the On-Line Spanish Tutoring Experience is an ideal fit. 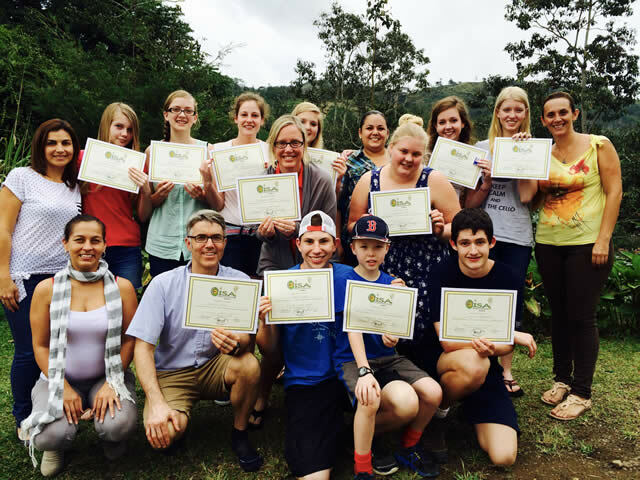 This On-Line Experience is also ideal for students who have come to CISA in Costa Rica and would like to continue developing their Spanish skills back home. The advantages are that students can be in the comfort of their home and can choose the days and times that they are available for class. The requirements are that students have a computer and speakers and a SKYPE account (free download: (free download: http://www.skype.com). One of our CISA staff will be assigned as your tutor and you will both log onto SKYPE at the designated day and hour. Spanish Diagnostic Test: As part of the Orientation, students do a Spanish diagnostic test in order to determine their level of Spanish and with that information are placed with the appropriate teacher and class. Native Spanish Speaking Tutor: Students will receive tutoring from a Native Spanish Speaker and practice listening and conversation skills using authentic language. Orientation & Guidance: Students will be guided and given assistance when needed by their tutor and also have access to the Program Coordinator to discuss any questions or concerns. Materials: All materials are provided to students via SKYPE or email (texts and handouts) throughout the classes. Students are able to choose the amount of hours and days per week they would like to have classes. CISA facilitates tours via the ‘Rainforest Experience’, which arranges special Tours for students. Students bring a blank check or cash and pay for the tours once they are at CISA. Payment is made at the end of your stay once you are given the invoice of all of your expenses. Helpful hint: Let us know if there are places you want to visit. We would be happy to help arrange your travels. The Voice of One Crying Mission. Students are welcome to join the VQC Mission Sunday church services in Tuis. It allows them to take part of the Costa Rican style of worship. It also gives opportunities for students to meet other local families. 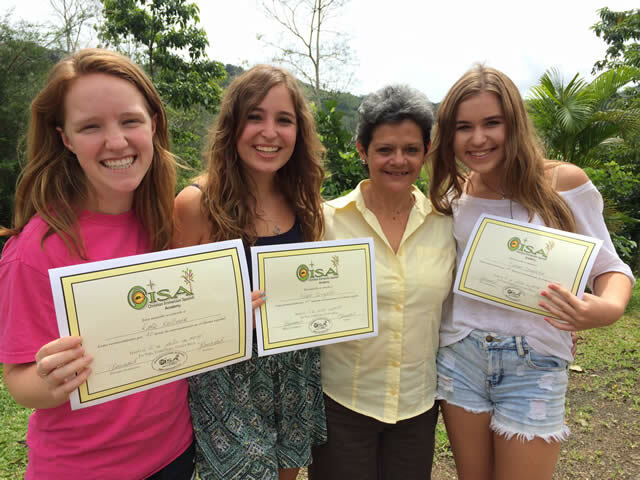 CISA is able to organize group trips that want to come and combine Spanish classes and community service through the VQC Mission. Work projects, ESL, VBS, kids activities, arts, etc. are examples of possible activities. Individual students and families studying at CISA are able to volunteer with the VQC Mission. Guidance is provided and projects created depending on the areas of interest of the students. The VQC Mission is a not-for-profit mission that began in 2003 in Tuis. It was founded by two Costa Ricans from San Jose. It also has the nonprofit status of 501(c)3 in the United States. Donors are able to receive a tax receipt for financial contributions mailed to our US office. The Mission focuses on facilitating church services, Bible studies, Women’s ministry, Senior’s group, kids activities in the community. They also work with the Cabecar Indigenous who live on a reservation in Chirripo Mountain. Students who are interested could join the Mission on a 3 day trip to the mountain to help provide food, do building project, health clinics, activities with children. This trip is always weather pending and the dates vary.